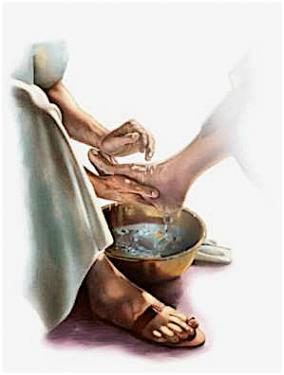 The Royal Maundy is an ancient ceremony which has its origin in this commandment given after Jesus washed the feet of his disciples on the day before Good Friday. It seems to have been the custom as early as the thirteenth century for members of the royal family to take part in Maundy ceremonies, to distribute money and gifts, and to recall Christ’s simple act of humility by washing the feet of the poor. Henry IV began the practice of relating the number of recipients of gifts to the sovereign’s age, and as it became the custom of the sovereign to perform the ceremony, the event became known as the Royal Maundy. In the eighteenth century the acts of washing the feet of the poor were discontinued, and in the nineteenth century money allowances were substituted for the various gifts of food and clothing. Maundy money, as such, started in the reign of Charles II with an undated issue of hammered coins in 1662. The coins were a fourpenny, threepenny, twopenny and one penny piece but it was not until 1670 that a dated set of all four coins appeared. 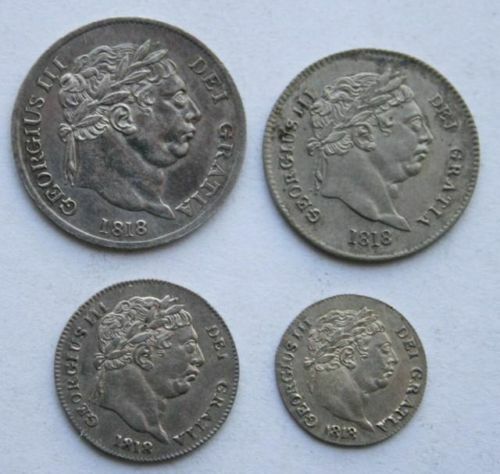 Maundy money has remained in much the same form since 1670, and the coins used for the Maundy ceremony have traditionally been struck in sterling silver save for the brief interruptions of Henry’s Vlll’s debasement of the coinage and the general change to 50% silver coins in 1920. Very interesting …. I never knew this. Thank you for all the interesting info you share with us, Sharon. I love history & it’s so interesting to find answers to questions I’ve always had in the back of my mind!